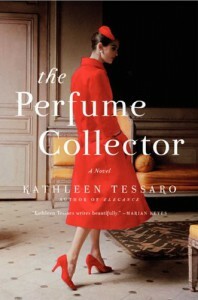 The Perfume Collector is a historical fiction book about two women. Grace Monroe is married and trying to fit into her husband's social circle in 1950s London. She receives a message to travel to Paris where she is to inherit the estate of Eva d'Orsey. A person she has never known. The story alternates between the story of Eva in the 1920s and 30s and Grace in the 1950s as she uncovers Eva's past and their connection. I really liked the book, but it was a bit predictable.